Home » » RC 56 Dt.16.4.16. Notification For 42 Days Summer Technical Teachers' Certificate at Ananthapur Guntur and kakinada from 1.5.15. to 11.6.16. RC 56 Dt.16.4.16. 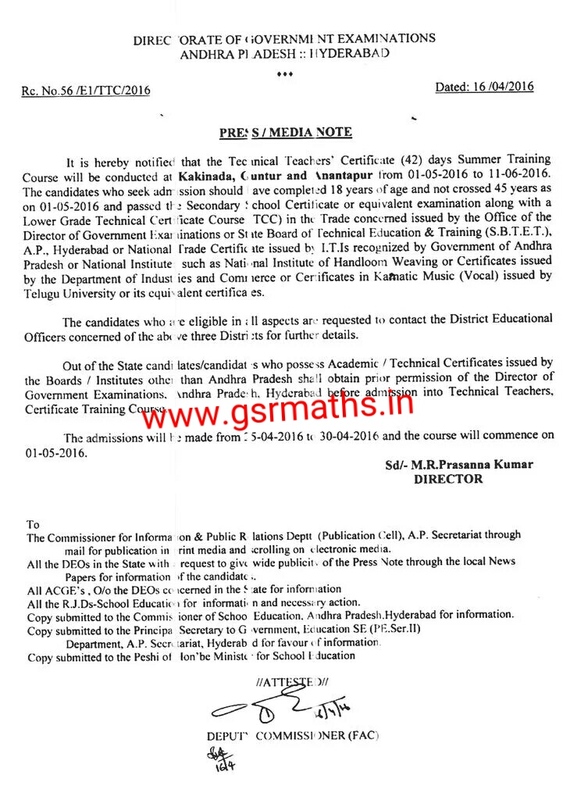 Notification For 42 Days Summer Technical Teachers' Certificate at Ananthapur Guntur and kakinada from 1.5.15. to 11.6.16.